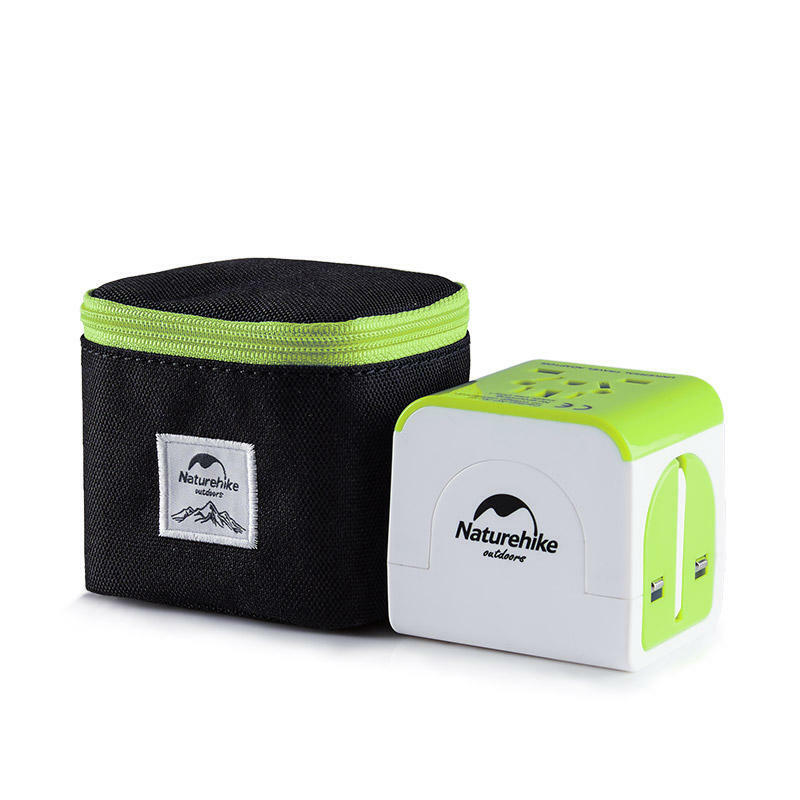 Global general purpose, 3 USB interface. 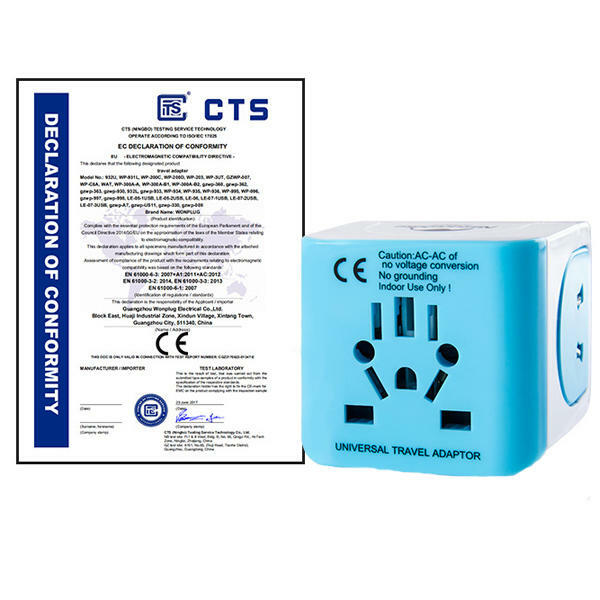 Multi-protection, overcharge protection, short-circuit protection, surge protection etc. CE safety certification, anti-electric shock, lightning protection, fireproofing etc. 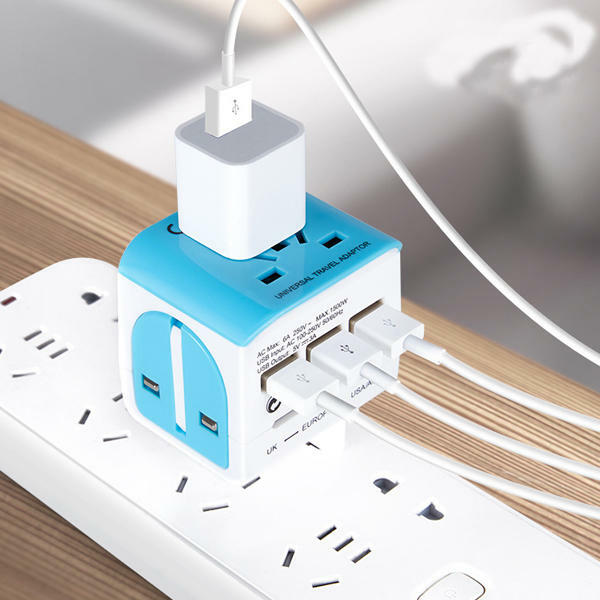 3 USB output+1 universal slot. 100V-240V wide voltage design, fits to voltages of different countries. Intelligent recognition for devices, 2.4A for iPad, 1.0A for iPhone.